888poker is intended for the gaming entertainment of responsible, consenting adults. Minors are strictly prohibited from playing at 888poker. Minors found playing at 888poker will be permanently banned. 888poker allows players to actively play at a maximum of six ring games. There is no restriction on the concurrent amount of tournaments a player can play. A player joining a 888poker table (with the exception of Seven Card Stud and Seven Card Stud Hi/Lo 8 or Better) is required to pay an initial fee (Post), equal to that table's Lower Limit Stake. The Post follows the same rules as the Blind Bets and allows the player to Sit-In at the table. Players have the option of "Sitting-out" and waiting for the Big Blind before beginning to play. Posting ensure fairness to all players, by preventing players from entering a Poker game in a "Late Position" in order to avoid placing Blind Bets. If, while Sitting-out, the player misses their turn to place the Small Blind, upon re-Sitting-in that player will be required to Post. This Post consists of a "Live (active) Bet", equal to the Big Blind. If, while Sitting-out, the player misses their turn to place both the Small Blind and the Big Blind, upon re-Sitting-in that player will be required to Post. This Post consists of a live Bet, equal to the Big Blind, plus an additional "Dead (non-active) Bet", equal to the Small Blind, which is "donated" by the player directly to the Pot. If, while Sitting-out, the dealer button passes the player three times, the player will be removed from the table. In the event that two or more active players, participating in the poker hand's Showdown, hold equal ranking (by combination) hands, the winner is determined by the High Card (i.e. a Pair of Aces beats a Pair of Kings). Should the poker hands remain tied (i.e. a Pair of Kings vs. a Pair of Kings), the highest ranking (valued) card, not held in common (the "Kicker"), determines the hand's winner. In the event of exact ties in poker hand ranking, between two or more active players, the table's Pot will be split evenly between those players. In the event of extra odd Chip(s) the first winning player to the left of the Dealer, in a clockwise fashion, will receive the odd Chip(s). In the event that two or more active players, participating in the poker hand's Showdown, hold equal ranking (by combination) hands, the winner is determined by the High Card (i.e. a Pair of Aces beats a pair of Kings) or Low Card (i.e. a 2 card beats a 3 card). Should the Hi Poker hands remain tied (i.e. a Pair of Kings vs. a Pair of Kings), or the Lo Poker hands remain tied (i.e. a 2 card vs. a 2 card), the highest/lowest ranking (valued) card, not held in common (the "Kicker"), determines the hand's winner. In both regular table games and tournaments, 888poker players must act within a reasonable time limit that varies per table, up to 30 seconds. This is enforced in an effort to maintain a reasonable speed of game play. Players who fail to act within the time limit will have hand automatically Folded. The player will forfeit the amount (if any) that he/she has previously wagered during that hand. During gameplay, if 888poker players need extra time for any reason, they can get it by clicking on the “Time Bank” button. The time bank will give players extra time to complete their actions. Players who fail to act before the time bank is exhausted will automatically fold their hand. 888poker players also have the option to automatically activate the time bank via the game settings. If a player has configured the time bank to run automatically, it will only be used in hands where the player has voluntarily invested money in the pot (this includes posting blinds out of turn). Posting blinds when it is the player’s turn will not be considered voluntarily investing money in the pot. 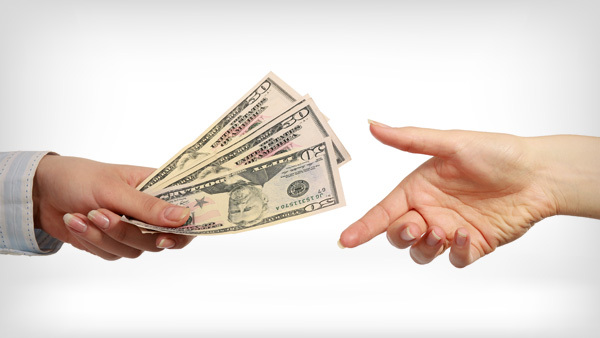 As host, 888poker applies a Commission Charge ("Rake") to each Poker hand's Pot. To view 888poker's Real Money table Rake Schedules, please see the Limits, Antes & Rake section of this site. Collusion is a historic bone of contention between Poker players. How many saloon gunfights have been the byproduct of collusion, or at the very least accusations of collusion? Collusion exists when two or more players at a Poker table attempt to gain an unfair advantage by sharing knowledge of their cards or other information. Collusion will not be tolerated at 888poker. Be it at a Play Money or Real Money table, or in one of our Poker Tournaments or Events, fair and ethical Poker play is expected and required of our players. Players found to be conducting play in an unethical manner, or not adhering to stated or unstated rules of play, will have their winnings confiscated, their membership cancelled and will be permanently banned from accessing 888poker in the future. In some multi-table tournaments, players who reach the Final Table may reach an agreement to distribute the prize pool between themselves on the basis of the Independent Chip Model ("ICM"- a mathematical model used to calculate to each player’s probable payout according to his/her stack size and the tournament prize pool distribution table) and not as detailed in the applicable payout table. How much of the prize pool is distributed on the basis of the ICM will be at our discretion and we may set aside up to 5% of the prize pool for the winner of the tournament. On reaching the Final Table, all players will be presented with a “Discuss a Deal” checkbox. If all players check this box, tournament play will be paused and a deal screen will be displayed with the proposed new prize pool distribution. If all players agree to the proposed new prize pool distribution, the prize pool will be distributed between the players as such. However, if one of the players then declines the new prize pool distribution or the time allotted to players to accept such distribution expires, tournament play will resume on the basis of the prize pool distribution in the original payout table. Please Note: If any player on the Final Table is using software which does not support the “Final Table Deal” feature, then no deal can take place and the prize pool distribution will be as detailed in the original payout table. Players participating in a BLAST tournament must not discuss or reach any type of agreement with regards to the distribution of the prize pool between themselves. If the prize pool displayed for a BLAST tournament differs in the tournament lobby, within the tournament table and the amount presented following the prize pool draw, the prize pool displayed in the tournament table shall govern. Following the hand in which the countdown clock reaches zero, all subsequent hand(s) will be played “all-in” by the players until there is a single winner. The Late Registration feature permits a player to enter and start playing in select poker tournaments after the first hand has been dealt and during the late registration period set for such tournaments. This feature will not be available once there are less than three players plus the number of paid places, regardless of the late registration time period set for the poker tournament. 888poker reserve the right to cancel any tournament that is announced, registering, or in a pending state. Tournaments that are in progress that require cancellation due to a variety of possible factors (server issues, widespread connection problems, power outage, ISP network issues etc.) will be cancelled, and a player who has been eliminated prior to the cancellation of such tournament will not be refunded any amounts in relation to such tournament. 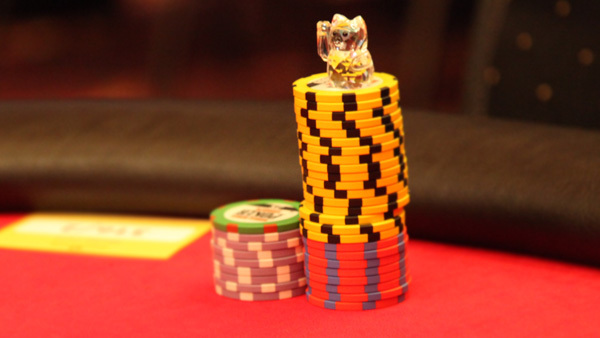 Notwithstanding the paragraph above, in the event that a tournament is cancelled while still in progress, 888poker reserves the right at its sole discretion to refund players who were not eliminated from the tournament at its time of cancellation using a formula based on: (i) a player's chip count; (ii) the prize pool structure; and (iii) the prize pool actually collected from players or the guaranteed prize pool. For the avoidance of doubt, in the event that late registration is still open after tournament has begun or the tournament has not materially progressed and such tournament is cancelled, 888poker reserves the right not to refund to players still in the tournament any shortfall between the prize pool actually collected from players and the guaranteed prize pool. Think it. Say it. Don't type it! Intimidation or harassment of other players at the table will not be tolerated. Congratulating a winning player is always seen favourably. Do not engage in "shouting matches" with other players at the table. Lagging is a natural occurrence on the Internet. As it is unavoidable, please be polite when notifying a player who is lagging. 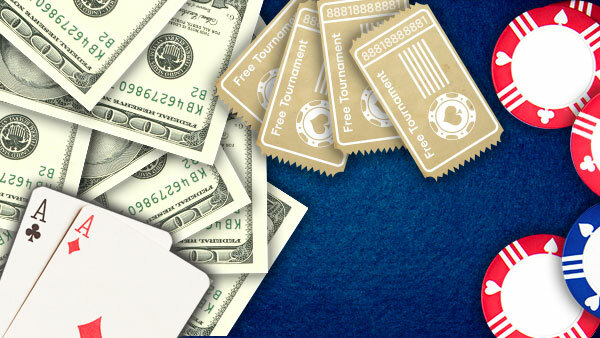 888poker reserves the right (at any time) to modify the prizes available for a tournament. Further, 888poker reserves the right to award a monetary prize in equal or greater value as the main prize in place of the main prize, at its sole discretion. The value of the main prize shall be determined on the basis of its actual value and not any potential value or prize receivable as a consequence of the main prize. Please Note: Players will not receive fractions of a cent. In all instances where a player's winnings include a fraction of a cent, 888poker will round down such player's winnings to the nearest cent. So, for example if you win $4.096, you will receive $4.09. In order to give all of our players equal winning opportunities, rat holing is forbidden at 888poker. Rat holing is defined as the act of leaving a ring game with winnings and then returning to the same game with less money than you initially left with. Jackpot winnings do not apply to this policy. When returning to a ring game at 888poker, players must buy-in with an amount equal to or higher than the amount they originally left the table with. The only exception is if a member leaves the table with an amount that is higher than the table's maximum limit. In this case, the member can return to the table with the exact same amount that he left with. If this condition is not met, players will be blocked from returning to the table for a specific time period, which is mentioned in a pop-up message.